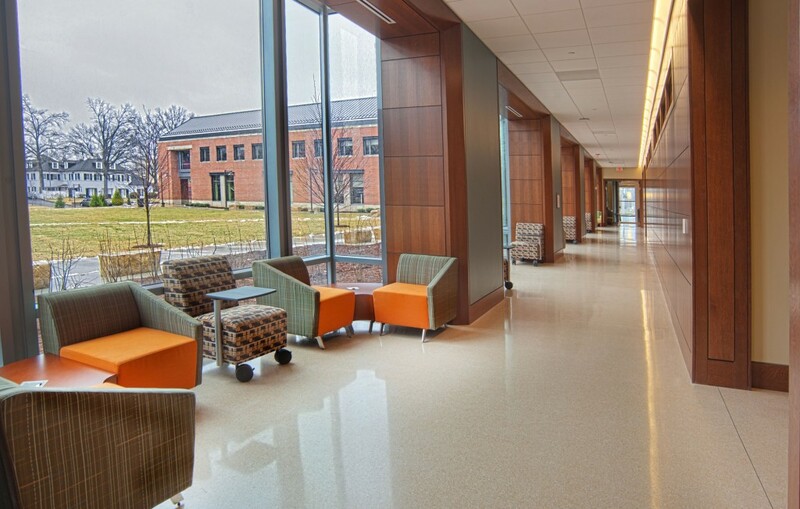 PARIC’s Webster University Academic Building has received LEED Gold Certification. This building was completed in January of 2012 and was the first new classroom building on the University’s St. Louis campus since 1984. It was designed to achieve LEED Silver certification, however through innovative practices and excellent documentation of the qualifying building materials the team was able to apply for and receive Gold certification. This accomplishment is a very rare achievement that puts this project in the upper echelon of green buildings. According to the US Green Building Council website, there are only 12 Gold Certified buildings in the state of Missouri. This building allows the business school to expand academic classes. This facility currently houses the Herbert Walker School of Business along with other programs and services and includes 31 classrooms, 10 large computer labs, 48 offices, two large lobbies, and state-of-the-art design and technology. This landmark project is instrumental to future growth of the Universities local facilities, and even more so in its goal to achieve global academic excellence. This addition to their campus bridges the Universities past with their future because it is a pivotal structure moving them closer to the completion of their overall master plan. With its home campus in St. Louis, Webster University (www.webster.edu) is the only Tier 1, private, non-profit U.S.-based University providing a network of international residential campuses and a robust online learning program. Founded in 1915, Webster University’s campus network today includes metropolitan, military and corporate locations around the world, as well as traditional residential campuses in Asia, Europe and North America, with a campus in Africa expected to open in 2014. The university is committed to delivering high-quality learning experiences that transform students for global citizenship and individual excellence.